If there is any room that is the center of your Worcester home, it is the kitchen. You and your family form some of your most enjoyable memories in this living space. Your kitchen is where you gather after a long day away at work and school. You and your family prepare holiday meals in this room. If you do any entertaining or have guests over, they will eventually end up in the kitchen. As such, our Worcester remodeling contractors believe that every family deserves a custom designed kitchen. Our Worcester kitchen remodeling contractors can help you have the most beautiful and highly functional kitchen possible. At LT Construction & Remodeling, we understand that hiring a kitchen remodeling contractor is a difficult decision. Our remodeling contractors are all extensively trained, highly motivated, and expertly skilled. We strictly maintain all professional licenses and necessary trade insurance. Our remodeling contractors hold themselves to an extremely high standard of excellence, and the resulting superior quality resounds throughout your kitchen after our services. Worcester residents can feel confident that they made the right choice when they hire LT Construction & Remodeling. Call us today if you have been considering remodeling your Worcester kitchen. Our courteous and polite staff would be happy to discuss your prospective project with you. We would gladly answer all of your questions about your property or our services. We can set up your appointment today. At LT Construction & Remodeling, our kitchen remodeling team takes an immense amount of pride from our work. In every project, we judge success based upon our customer’s satisfaction. We understand that you and your family will be the end-users of the renovated area, as such, we strive to provide you with the most customized kitchen remodeling services possible. One key aspect where we provide you with ultimate control and expert guidance is in the material selection for your Worcester kitchen. During the remodeling project, we will provide you with a wide range of sample materials for your prospective flooring, cabinetry, countertops, and backsplashes. When you settle on the material choices that best fit your aesthetic tastes, we provide you with information about the longevity and maintenance of the materials. In this way, you can rest assured knowing that you made the most educated choice for your kitchen remodeling projects. In addition to focusing on the end look of your Worcester kitchen, our remodeling experts are constantly focused on enhancing the user experience that you and your family have after our remodeling services. Our experts are highly versatile in that they can work with the current layout of your kitchen or can completely redesign the space for you. Our kitchen remodelers will provide you with exceptional advice as to how to enhance your experiences in your kitchen through remodeling solutions. In this way, we can guarantee that you and your family will enjoy using this space for years to come. 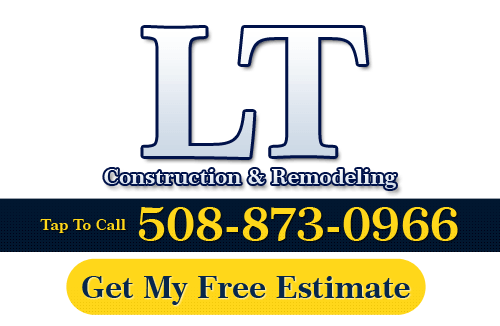 If you need to hire a professional kitchen remodeling contractor in Massachusetts, call LT Construction & Remodeling at 508-873-0966, or complete our online request form.